You just didn't want to be alone. 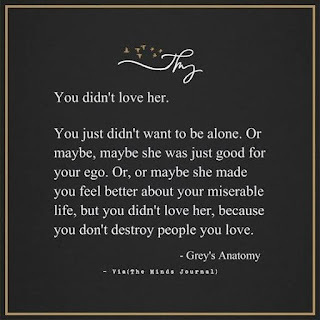 Or maybe, maybe she was just good for your ego. Or, or maybe she made you feel better about your miserable life. 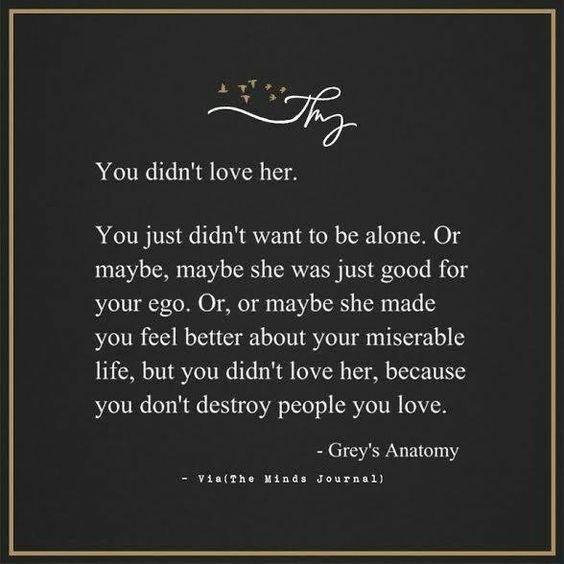 But you didn't lover her, because you don't destroy people you love.